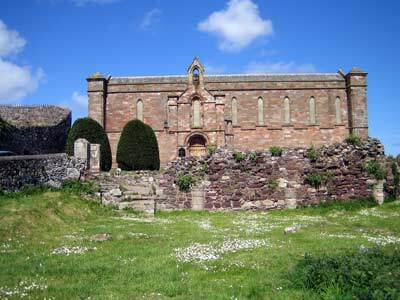 Built in the 7th century on the south side of Coldingham Moor, Coldingham Priory was soon destroyed by fire, rebuilt and destroyed again in 870 by Viking raiders. 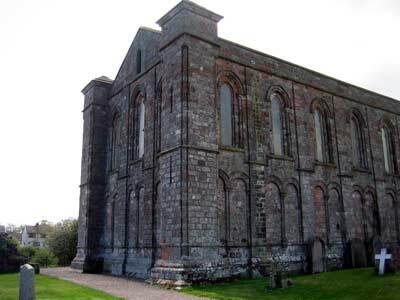 After laying in ruins for two centuries, a new Benedictine monastery was established by Edgar, King of Scots, who had been deposed by his uncle and gone into exile in England. 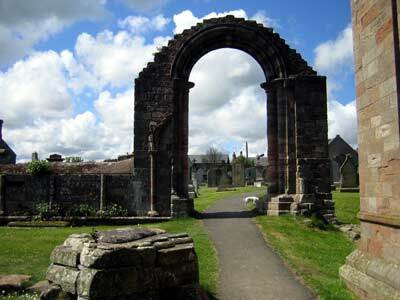 He received a vision of St Cuthbert promising him victory if he carried with him the holy banner from the Durham convent. Due to its proximity to the English border, it was plundered on several more occasions including at the time of the "Rough Wooing" in 1544 during which King Henry VIII, angry that the Scots would not agree to betroth the infant Marie Stuart (future Mary, Queen of Scots) to his son Edward, sent the Earl of Hertford on the rampage leaving a trail of destruction behind him. Little remains of the original, but fragments of the south transept and cloister can be seen. Parts of the 13th century choir remain to their full height. After extensive renovation in 1855, it became the Parish Church. 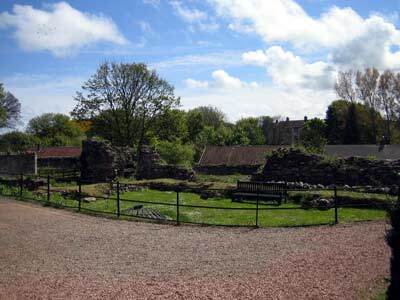 During the 16th century, Mary, Queen of Scots' favourite half-brother, John Stuart, became the Commendator of the Priory. He later married Janet Hepburn, the sister of the 4th Earl of Bothwell, whom Mary wedded herself on 15th May 1567. 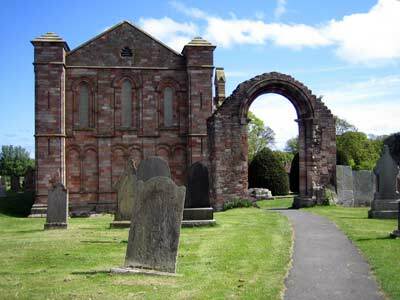 Mary visited the Priory during her 1566 progress. 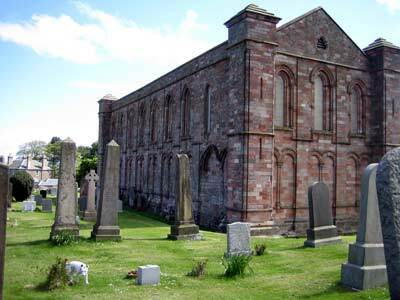 Coldingham Priory had a long-standing reputation as a centre point of the wool trade and seat of learning. However, in 1560, the Reformation signalled the death-knell of monasticism in the country, and the lands belonging to the priory passed to the local landowner. In the 17th century, Oliver Cromwell finished off the job of destroying this building by using cannons on it to dislodge Royalists who were hiding within its walls. 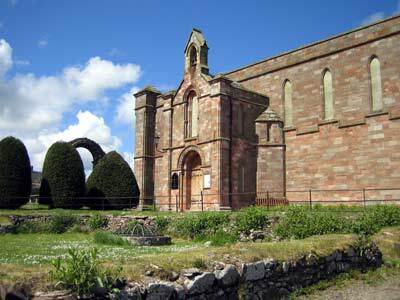 The north and east walls (above and below) belong to the original priory and were incorporated into the 19th century Parish Church. 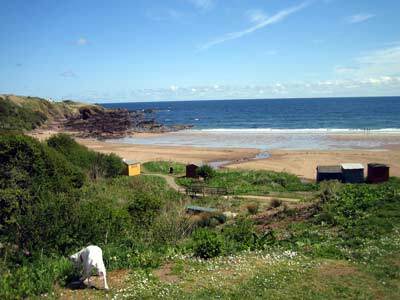 Coldingham Bay has a pleasant sandy shore with multicoloured beach huts, popular with Scottish surfers.